There were days that Jisralna felt as though she would much rather just stay in bed all day and eat her weight in bubbly pies; today was one of them. 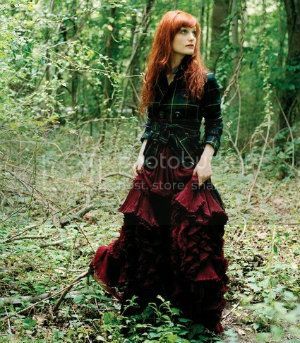 However, she'd already made plans to have B'run fly her out to the forest so she could gather a few flowers and herbs that had proven to be particularly effective as dye ingredients. Besides, even if she had called off the trip, she wouldn't have been able to stay abed, not with her three new friends about. Gambi, Silly and Weaver were up with the sun and made sure that their big, round feeder wasn't far behind. So, Jissy was up with the sun and once she'd fed her boys, she set about stuffing her own face with some cold meat from the previous night's meal. As she wasn't due to meet up with B'run until mid-morning, the weaver set about doing what she did best and brought some of her work outdoors with her. Currently she was working on a project in her spare time, swaddling blankets for her soon to be born child. After asking around about various symptoms she was experiencing and her own intuition she was convinced that she was going to have a little girl and was currently in the process of adding delicate little flowers to the square of cloth. Of course, doing her job had become a bit more difficult as her little blue, Weaver, was fascinated by thread and only a stern scolding kept him from tangling her precious colored threads. Silly liked to bury himself in piles of cloth scraps and Gambi rather enjoyed pouncing on his ridiculous brother when he emerged. With time and patience she was certain she could make little gentleman out of the lot of them, but there were plenty of times when she felt as though she might have been better off only getting one from the clutch that day, like A'liran. Though how she would've avoided Gambi or Weaver she didn't know. She was just glad she didn't find herself in B'run's position with three greens and a gold to take care of. After several minutes of getting nothing done aside from shooing Weaver away several times she finally gave up and put her project away then, deciding to save her energy for the task ahead of her, was content to simply sit in the sun, her hat in place, with her eyes closed and a trio of firelizards clinging to her. Though she only meant to close her eyes for a moment, B'run would find her dozing like a lazy dragon in the sunlight after a feeding, plump, warm and content. Gambi and Silly were curled up together in her lap, a contrast of lighter and darker brown while Weaver sprawled on top of her belly, soaking in the sun. The morning had started out quite nicely. Echlerov had arranged to give her something of a private wine tasting, insisting that she would like wine if she gave it a chance. Then, around Midmorning, he'd lurched to his feet and run outside, muttering something about a Flight. Jisra had been left to taste the wine on her own and it hadn't taken long for her to become tipsy and then full out drunk after which she'd curled up on the bed and taken a nap. A draft of cool air tickled Jisra’s leg and she frowned slightly, still more asleep than awake. Her hand groped aimlessly, searching for the blanket. When she couldn’t find it, she instead rolled to the side and curled into the warm bulk that had been behind her. The smell of wine, sweat and dragonflesh cocooned her like the blanket she couldn’t find and she was only vaguely aware of the entire situation being a bit off as she floated in the realm between sleep and the waking world. Lunch had been a boisterous affair, despite Jisralna’s attempts to keep off to the side. Everyone seemed to be eager for the eggs on the Sands to harden and already the more incorrigible members of Katila were taking and placing bets on both the eggs and the Candidates. She’d been elbowed that afternoon by a rowdy bluerider who’d asked if she’d wanted to place a bet and when she’d declined had teased her, suggesting that she should Impress a green for the good of the Weyr; if she knew what he meant. Needless to say, she’d excused herself from Lunch early, tucking a bit of bread and cheese wrapped in an embroidered handkerchief into the pocket of her simple gown. She retired to the Gather Square then contemplated what to do with the rest of her day. She’d already completed her assigned chore and only had a small amount of mending to do which would be easy enough to finish later that day, before the evening meal. Walking across the Square, she stopped near one of the fenced in gardens near the edge of the gathering area and leaning against the fence, watched the progress of a trundle bug as it climbed the thick stalk of a plant then started back down the other side. They really were silly critters and quite amusing to watch…from a distance. The Hatching had been quite lively despite its small size and Jisralna left the Sands with a dreamy smile on her face. Baby dragons always seemed to do that to her; more so than baby humans. That there had been a small Gold born of a Gold/Brown pairing had seemed to be quite the shock for all of the riders and she imagined it was because most Golds turned up in Gold/Bronze clutches. In her opinion she was just grateful that all of the hatchlings Impressed and no one had gotten hurt. Knowing that everyone was going to leave around the same time, Jisra had kept to the back of the viewing area and had slipped away the second the last hatchling had picked their lifemate. Walking at a sedate pace across the Gather Square, the young weaver woman made her habitual pass by the bulletin board and paused when something caught her eye. It was a scrap of paper that hadn't been there before--as she did pass the board several times a day. Walking over to the board, she reached out to smooth the hastily pinned paper and keep it from fluttering in the wind, though as she began to read, her eyes went wide. Snatching her hand back with a gasp she shook her head, uncertain of how she was supposed to react other than to be horridly embarrassed that she'd read something so private. With her hand pressed to the base of her long neck, she took to steps back then squeaked as she bumped into something--or someone--and spun around, eyes wide and lips parted looking for all the world like she'd just been caught doing something horribly indecent; which she technically had. As her mouth worked, trying to form words that she couldn't possibly even think of, she flushed deeply. It had taken much more convincing than Jisralna had thought would be necessary to garner a ride from a dragonrider to the edge of the Western Forest and she’d garnered no promise of receiving a ride home as she did not know how long it would take for her to finish her task. It was probably just as well because the walk home would be invigorating and refreshing. So, with a polite thank you to the rider as they took off, Jisralna secured her jacket more tightly around herself and gathered up the basket and folded satchels she had brought with her. While she knew that it probably wasn’t the best idea to go traipsing off into the jungle alone, she justified it in her mind by pointing out that she had tried to get several others to join her and they’d all declined. Besides, very little was known about the dying properties of the Southern Continent plants so really this was just a short expedition to gather what she thought might work well in stead of more familiar Northern ingredients. Her solitary state was also justified by the fact that she’d registered her whereabouts with the proper people and she didn’t intend to venture too far into the forest. From what she’d been told, the more dangerous species of wildlife were generally only encountered deeper into the vegetation. It was a beautiful clear day and Jisralna took a moment to simply breathe the air; so very different from the crisp air of High Reaches or the salty air of Southern Boll. It smelled of lush vegetation and very faintly—if the wind shifted just right—of dragons. And, as she often did when she was alone and content, she began to hum a tune that was familiar to all of Pern. The Duty Song swelled until the words broke free, clear and delightfully in tune. She finally stepped into the forest, eyes scanning the undergrowth for anything remotely familiar or anything that caught her eye as being potentially useful. And as she continued on her way, she sang. There had always been something comforting about The Duty Song. Maybe it was the promise inherent in the words; that dragons would always and forever be the salvation of Pern even when they were shunned and forced to live like savages in an unforgiving land. In her child’s heart she’d never stopped believing that dragons were out there and then two years and seven days ago her childish hopes had come to be true. B’jin and Larriketh had brought her here. It hadn’t been perfect or anything like she’d imagined but she was still grateful. If given the chance she would have followed the Greenrider all over again. Spotting a promising looking stalk plant she hurried over and knelt down, thankful she'd chosen to wear a sturdy brown gown that day. Grabbing a nearby stick and reverting to humming once more, a word or two slipping out as she began to dig at the base of the stalk, she was pleased to find a root bulb very similar and much larger than anything she'd found of its kind on the Northern Continent. For all that she loved sewing—it was relaxing—mending and resizing the same boring clothing everyday did tend to get a bit tedious. Two years it had been, almost to the day, since she was lured into a not so unpleasant trap but a not so pleasant bluerider. Though, if she had her druthers she likely wouldn’t change the outcome of that day. Since moving into the Weyr she’d made better friends than she’d ever had between High Reaches Hold and Weaver Crafthall combined. At both places she’d been surrounded by half-siblings and never quite belonged. Landarkin had been a superb father and her half-siblings by him had been adorable and loving. In stark contrast, her biological father and his array of bastards had been far less welcoming though Jysandar had warmed up to her a bit once he’d learned she possessed a rare talent for embroidery. In short, while the situation hadn’t exactly been ideal, she couldn’t exactly complain about the outcome. Her only wish was that she could send word to her mother and father—Landarkin not Jysandar—not to worry; that she was safe. However, there were days she wondered how safe she truly was. She shared her roommate’s reservations about the public lashings as well as her aversion to Flights. Men high on hormones weren’t the easiest to avoid, she’d come to discover, though she’d managed well enough so far. In fact, she’d done quite splendidly when it came to avoiding too much attention and keeping to herself. She had her few friends, of course, but outside of Seijin and Aparicus, she hadn’t particularly gone out of her way to initiate very many relationships. She’d just kept her head down, repaired torn tunics and taken in trousers. Of course, every now and then, when she’d finished her pile of clothing and if she had a bit of stashed away floss to spare, she would embroider some of the nicer clothing, using her fairly good memory for color and figure to make renderings of various dragons about the weyr. Her favorites were the blues, of course. As of yet, no one had caught her at it and she wasn’t quite sure how anyone would react. It was just that she’d run out of places to embroider her own clothing without it looking utterly ridiculous and Apari's nice clothing was bedecked in an array of flowers; Shards, even Seijin had let her at his clothing. Surely no one would begrudge her a bit of beautifying and she’d done her best to make sure that she at the very least didn’t do something like put a green dragon on a brownrider’s tunic. Somehow she rather doubted that would go over well. She was embroidering just such a tunic—a rather handsome brown she’d seen lazing about earlier that day—on the cuff of a tan tunic when she became aware of the increased chattering around her. The Weavers were assembled in a sheltered alcove that opened directly onto the Gather Square allowing the maximum amount of light in as glowbaskets weren’t always the best to see by. The only reason she even noticed the chatter was that she was certain someone had said her name. Blinking, she looked up from where she was carefully stitching the leading edge of the dragon’s wing and became acutely aware of the sound of clipped boot steps heading in her direction. She was slightly off to the side from the others and slightly turned away to dissuade any idle chatter. Had someone finally discovered her little hobby and come to protest? Surely the other Weavers knew her skills by now and could identify her as the culprit. An image of B’jin bound to a post flashed in her mind before she shook her head and chastised herself for being fanciful. Listening more carefully to the murmur of the other Weavers as the boot steps halted, she bit down on her lower lip and carefully bunched the tunic in her lap so that her project was hidden. Would the lash a woman for sewing? Page created in 0.254 seconds with 36 queries.